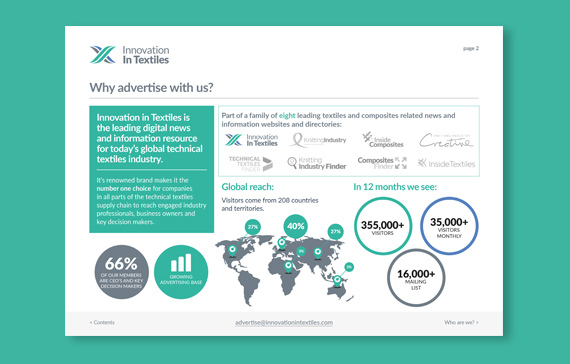 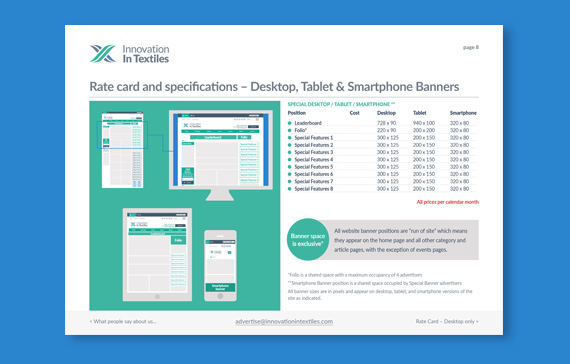 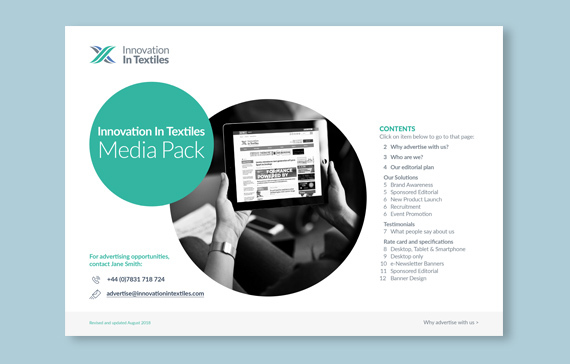 We recently completed a suite of media packs for the leading textiles and composites related news and information websites. 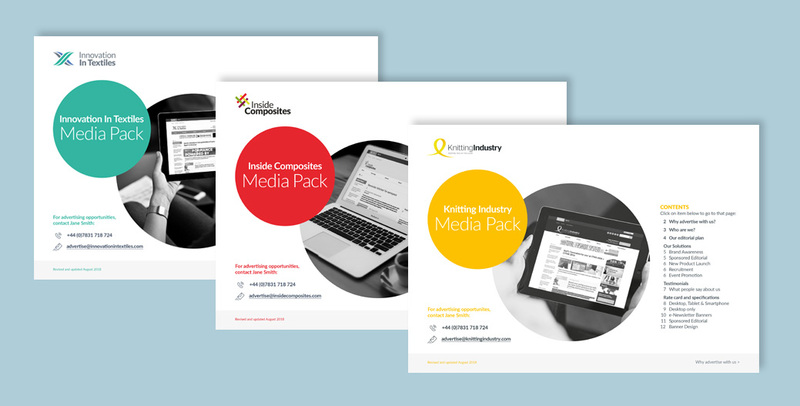 Innovation in Textiles, Inside Composites and Knitting Industry now each have an up to date, professional and clear media pack, available to download from each website. There is also a suite of banners throughout the websites themselves, on email newsletters and on social media to raise awareness of the media packs.